Apologies for the lateness of this update. I've been distracted by lots of intriguing stories coming out of the running scene over to other side of the Irish Sea. 1. Athletics Ireland have announced their women's marathon team for the European Championships in Berlin and it's really interesting. The two winning athletes at the Belfast Marathon were both part of Project Africa Athletics which is run by coach Ciaran Collins from Omagh. So, a great local victory in a team sense, but then last year's female winner (who won it a week after running London) was the first local winner since 1999, Laura Graham was also running. Laura had initially been banned from running by Athletics Ireland in preparation for the European championships, but they later changed their decision to allow her to compete. So... a dilemma for locals. 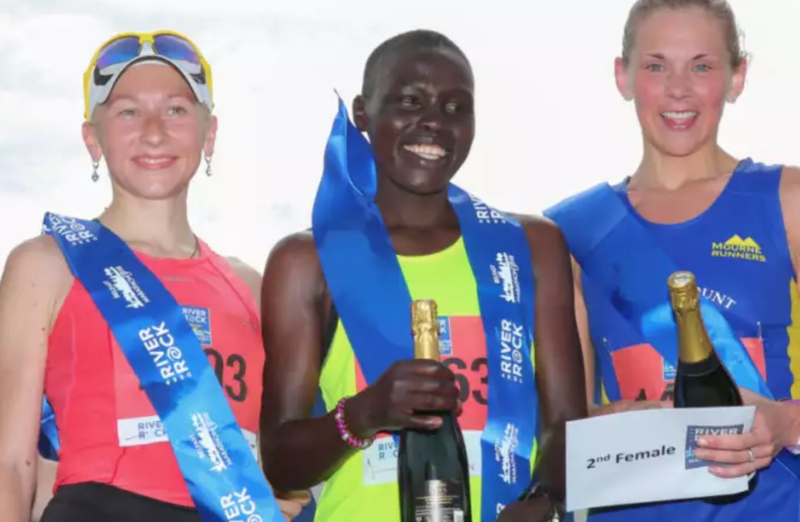 Add to that the fact the the Project Africa winner, Caroline Jepchirchir, was running her first race back since giving birth and it's either a tough one to call or an all round celebration for the active mums of NI! 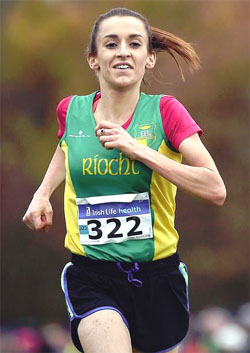 Shona Heaslip of Ireland’s An Ríocht AC came second in the Birmingham 10k. She used to be an Irish dancer and was still performing in 2016 as well as winning Senior Women’s race during the Irish Life Health National Cross Country Championships the same year. She has recently been named on the Irish team for the European 10000m cup which takes place during the fantastic Night Of 1000m PBs event at Parliament hill on the 19th May. I love the story behind her change and there's something interesting in the thought that the lightness of foot could be an advantage in running. Also, that athletic perseverance can transfer from one discipling to another. All the podium places were decided by the time runners got to the 71 mile checkpoint at Streatley on a super hot day for the Thames Path100mile race. Therese Falk finished first in 18:44:38 with a huge lead over Laura Swanton (19:36:59) and Kit-Yi Green (21:05:55). Therese will be representing Norway at the European 24 hour Championships in just 3 weeks time. Sadly, a foot injury from a bike crash earlier in the week stopped Centurion stalwart and all round nice lady Cat Simpson’s race. 1st BORNES CHEPKIRUI : 2:24:19 beating previous PR of 2:29:01 from Sydney last year. Top GB female (full list ) was Liesbeth Grycuk in a PR of 3:28:31 from her previous 3:31:32 set in London in 2015. 1st Female Caroline Jepchirchir 02:41:23 a member of Ciaran Collins' Project Africa scheme designed to assist up and coming runners. https://projectafricaathletics.com/blog-posts/ The male winner was also from the scheme . 2nd female was Laura Graham (IRL) 02:43:33. Laura was the 1st local winner since 1999 last year and will be running in the European Marathon Championships in August. Originally Laura had been told by Athletics Ireland that she was not allowed to race anything over a half marathon before the championships in August, but they later agreed that she should defend her titl. The race took place in a sweltering 26 degrees, leaving the course record by Asia Zmyslona of 02:57:33 pretty safe, though not as much as one would expect given the conditions. 2017’s 2nd place, Jennifer Sangster (3:12:12 in 2017) ran 3:23:36 for 7th this year. Mary Heald ran 3:34:15 last year for 8th and placed 9th in 3:33:36 this year. 3rd - Fenland Runners' Bethan Everson 40:15 and 40:35 respectively. 2nd - Shona Heaslip (See point three above). She used to be an Irish dancer and was still performing in 2016 as well as winning Senior Women’s race during the Irish Life Health National Cross Country Championships the same year. She has recently been named on the Irish team for the European 10000m cup which takes place during the fantastic Night Of 1000m PBs event at Parliament hill on the 19th May.